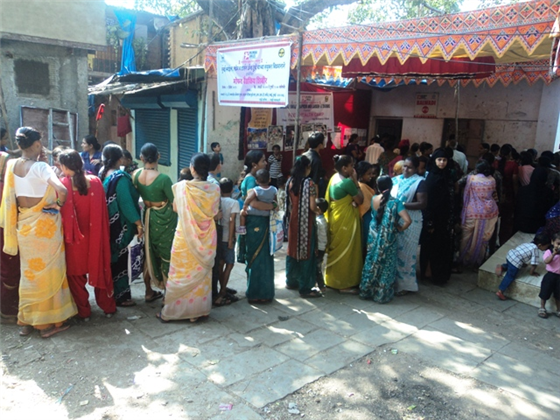 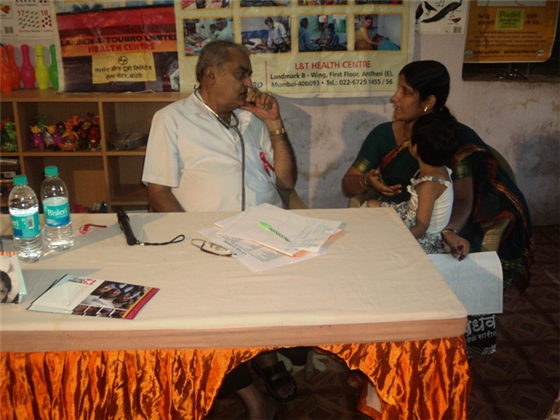 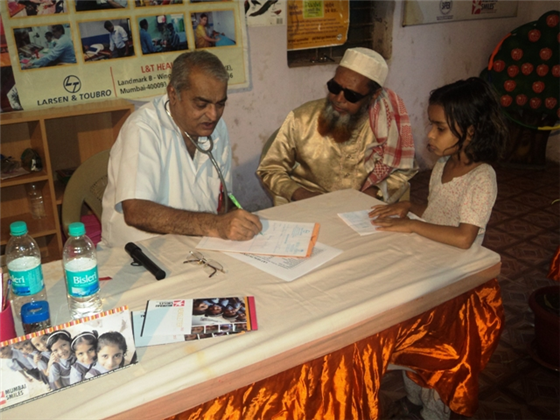 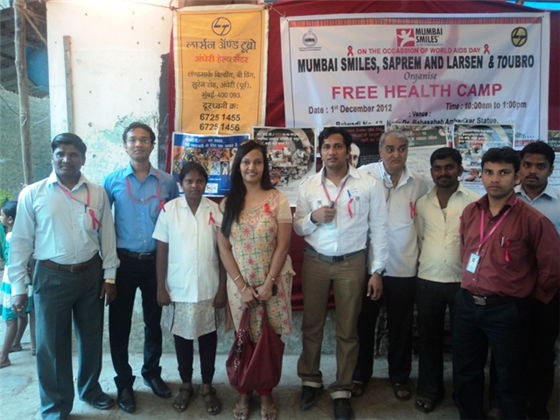 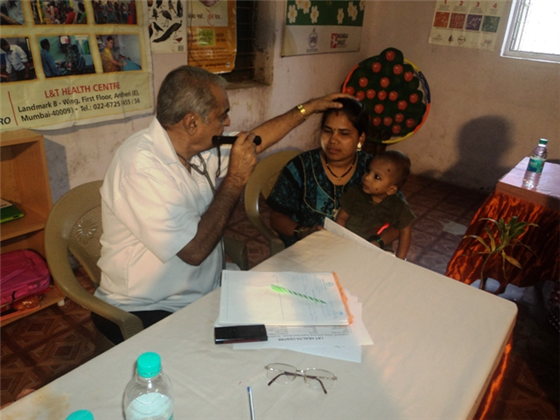 As we’d told you in this post, on the occasion of World AIDS Day on Saturday, December 1, 2012, we organised a free health checkup camp for beneficiaries of Mumbai Smiles in the Phule Nagar IIT Market slums in Powai, in collaboration with Larsen & Toubro Limited Health Centre. 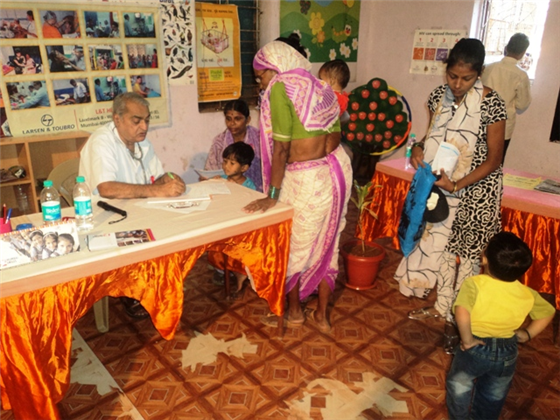 A total of 158 people, comprising of 114 women and 44 men including 25 children aged less than 10 years, made use of the free basic health checkup services provided at the camp by one doctor and two paramedics from Larsen & Toubro. 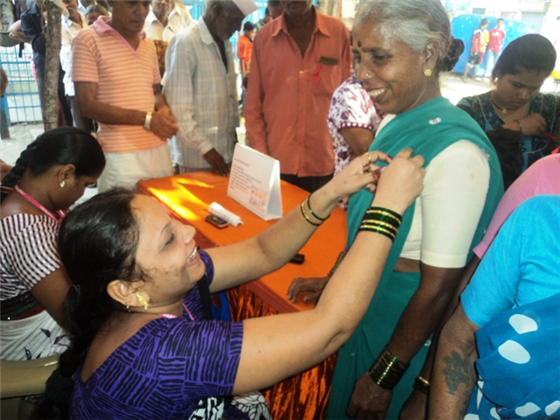 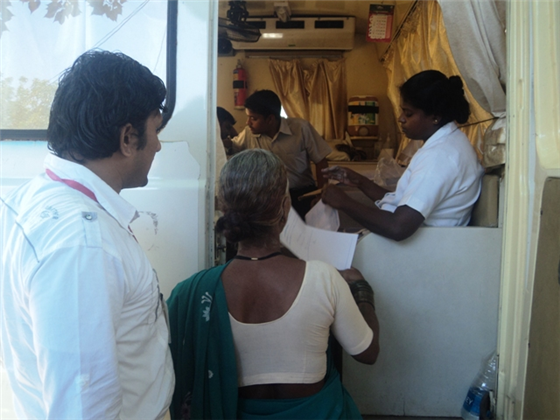 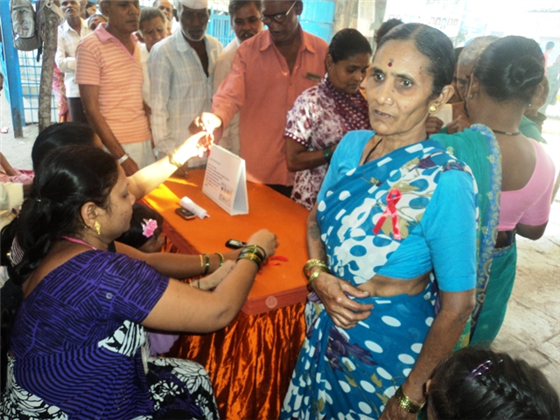 The health camp commenced at 10 am and ended at 3.30, wherein free medicines were also distributed. 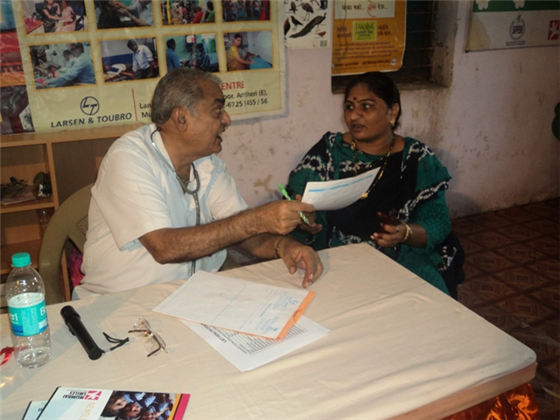 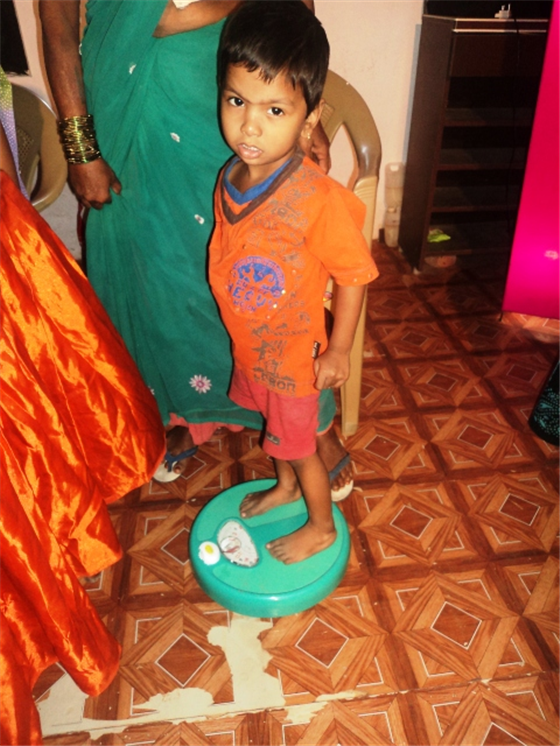 Five of the patients were referred to Andheri Health Clinic, run by Larsen & Toubro Limited, for further diagnosis of their health problems. 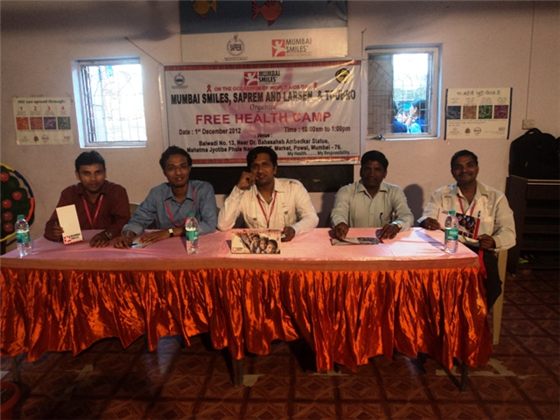 At the same venue, a street play was enacted on the subject of HIV/AIDS, and performed by the trained students of Hiranandani School of Nursing to create awareness in the community about the mode of transmission, prevention and HIV testing, location of ICTC etc and followed by Q & A session after the play. 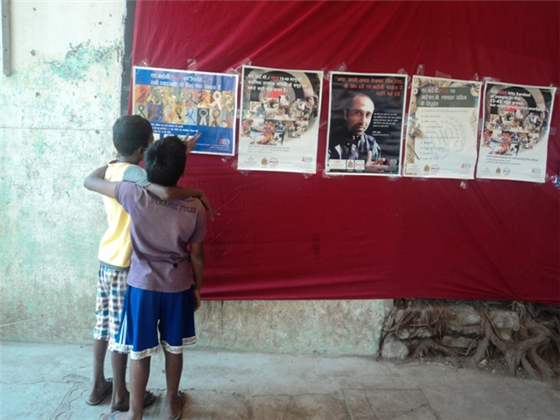 There were also posters with messages on these issues. 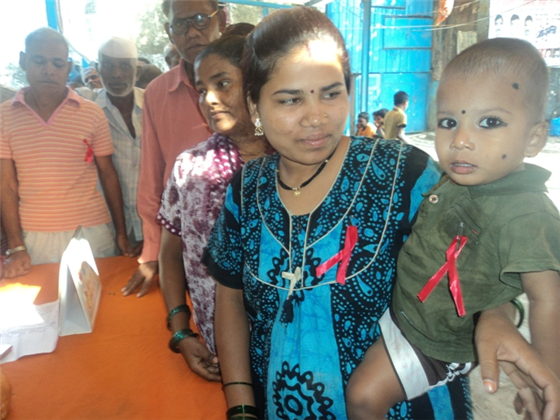 The red ribbon, (a symbol of AIDS awareness) was given to all participants to pin as the objective was to demonstrate care and concern about HIV and AIDS, and to remind others of the need for their support and commitment. 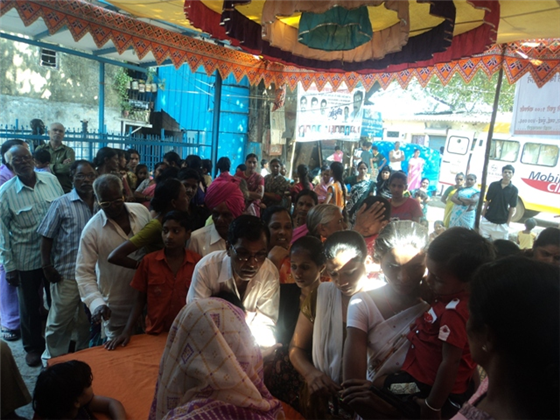 There was a consensus that there is a need to build on the success of this health camp by having another one soon to reach out to more people and to follow up on the patients diagnosed with the complicated health problems.